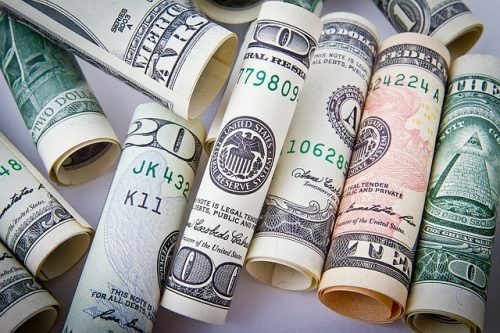 As I have been tracking the money I spend for my personal goal of changing my relationship with money, I decided to begin using cash only for as much as possible. It just hurts more, and really limits what I can spend. I know this is age old money advice, but as you well know…I have to learn things the hard way. The exceptions are gas and regular monthly bills (paid from my checking account.) My question is how, do you keep your account information safe? I’ve had my checking account cleared out more than a couple of times. And have no idea what my security failure was. My debit card is never outside of my possession. I don’t use it online. What can I do? What tips and tricks do you have to keep your liquid cash safe when you move to a cash based money plan? With the money tracking I am doing, I withdrawal $100 at a time. I am using a Google sheet on my phone to track every penny in and out and setting categories as I have time. It’s definitely a process to get in the habit. But even just tracking has opened my eyes a bit. Credit Card #1 is GONE! Nice start to the month! I’ve paid off my first credit card since our relapse of going back into credit card debt. I’m planning to do a modified snowball method, and CC1 (Home Depot) was our lowest balance card. I set the payment for a few days before the end of February. And when I logged in to check things out this morning, it looks like all has cleared and our new balance is $0.00! After my last payment of $277.98, I can officially say that Home Depot is OFF our debt list and we can move on to our next target. Right now, our next target is our Bank of America credit card, on which we owe just under $2,000. But at some point, we’ll likely have to change focuses to our Citibank card (which was actually a balance transfer of a student loan to get it away from Navient and lock in a 0% interest rate). The Citibank card is due in full by October of this year, so although it’s been on the back-burner (again – due to the 0% APR), we’ll have to pick up payments here soon so that it’s knocked out by the due date. At any rate, I’m glad to have one less monthly debt on our list. 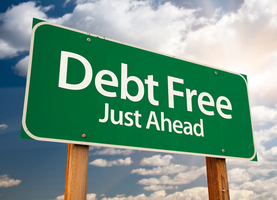 Have you recently paid off a debt? What’s a current debt you’re working on tackling?